Former U.S. Speaker of the House Dennis Hastert reported to federal prison in Rochester, Minn., on June 22, 2016. After serving a little more than a year in a federal prison hospital, former U.S. House Speaker Dennis Hastert (R-Il) is nearly home free. Hastert, 75, an admitted sexual molester of young boys and purveyor of hush money, will be released from prison within the next month. The ex-Illinois congressman pleaded guilty to bank fraud in a $3.5 million hush money deal with a victim he had sexually abused. He surrendered to a federal prison hospital in Rochester, Minnesota in June, 2016. Originally he was to be released this Sunday but the U.S. Bureau of Prisons inexplicably changed the date to August 16. However Hastert could be freed at any time, without public notice, and allowed to serve the remainder of his sentence in a halfway house or in home confinement according to law enforcement sources. The financial case against Hastert revealed he had sexually abused at least four boys decades ago when he coached wrestling at Yorkville High School. He was sentenced to 15 months and will end up serving about 85% which is average for federal prison inmates. It is an unceremonious ending for the longest-serving Republican House speaker in U.S. history. Hastert was elected to Congress from the west suburbs in 1986 and served as Speaker from 1999 to 2007. The two years of court supervision Hastert faces upon release from prison will require him to stay in Illinois-so it is likely he will return to his home in west suburban Plano. 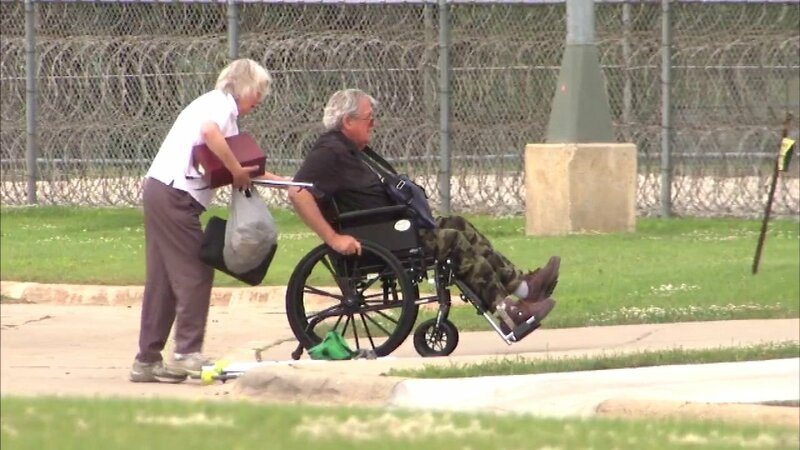 Hastert uses a wheelchair and has numerous health problems that required him to be housed in a prison hospital, including a rare blood infection that nearly killed him prior to pleading guilty.